Description: This map detail is from a facsimile prepared for the Library of Congress by Jose Luis Gomez in 1914. 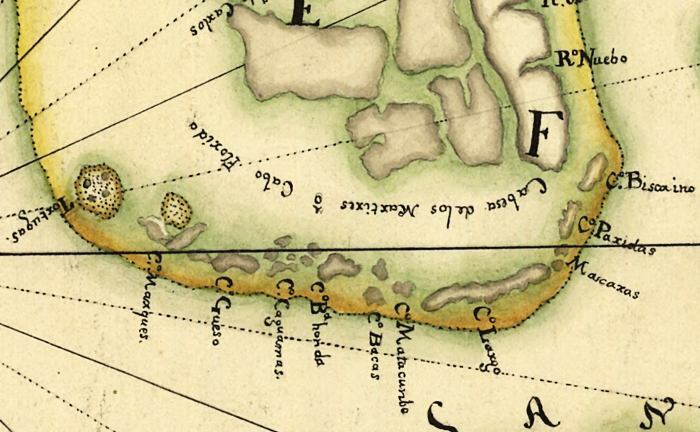 It is from a 1742 map by Antonio de Arredondo, depicting land claim disputes between Spain and England. The map shows the southern tip of the Florida peninsula and Florida Keys.